Recently, Nailene came out with a new DIY at-home soak off gel system called SensatioNail. I was hesitant to try it, but the $50 price tag for the entire starter kit (including lamp) won me over in the end and I decided to give it a shot. The SensatioNail website advertises "2 weeks of dazzling, damage-proof wear," and "super gloss shine, no dry time" which are what you'd expect from a soak off gel, but the kicker here is "professional salon quality nails at home." I've been wanting to try soak of gels for a while, but I don't like going to salons because of the cost, and also because I don't quite trust others with my nails. I know that Shellac and Gelish have been available on Transdesign.com, but the expensive lamps and all the equipment are still such an investment! Like I said, it was really the $50 price tag that convinced me to try SensatioNail. The starter kit includes everything you need to do a complete gel manicure (actually, it says enough for 10 manicures): a Pro3060 LED lamp, primer, cleanser, clear base/top coat, color coat (Scarlet Red or Raspberry Wine), lint free wipes, buffer file, and orange stick. A note on the lamp: it's wonderful. It is small enough that I feel like I could take it with me if I was going on vacation, and because it's an LED lamp instead of a UV fluorescent lamp, it cures gel polishes in half the time or less. While it's really simple and easy, it does take some time to do a full manicure. On myself (I can't paint my other hand while one is curing in the lamp), it takes me a good half hour to finish the whole thing. But the results are pretty spectacular! This was my first time ever trying a gel manicure, and I was pretty pleased with the results. However, there is a slight learning curve. I found it easiest to do my nails in twos because the gel sometimes runs into my cuticles while I'm doing my other nails because it stays in fluid gel form until it's cured in the lamp. It's possible to do all four fingers on a hand at a time if you work quickly and/or do thin enough coats so that it doesn't run. Thumbs are best done separately from fingers (but both thumbs can cure at the same time). If you get any gel on your cuticles, make sure to wipe it off with the orange stick (I found a brush and acetone to work as well) before curing. If any is stuck to your cuticles it can cause lifting and decrease the wear time of the manicure. If you apply too thick of a coat, over time (while doing the rest of your nails before curing) it will run all over into your cuticles. At this point I think it's easiest to wipe off the entire product with the wipes and cleanser and start over on that nail. Remember that it will not dry AT ALL until it's cured in the lamp. Applying primer is essential (I learned the hard way), but removal is easier if you only apply it around the edges of your nail (including the free edge!). The removal is very important as well. If you try and peel the product off without soaking it in acetone correctly (the instructions say 15 min), it can cause damage to your natural nails (I learned this the hard way as well). After buffing off the shine, I find it easiest to put bits of cotton soaked in acetone on each nail and wrap them in foil to keep the acetone from evaporating. After soaking for several minutes, you can just "push" the product off with the orange stick or cuticle pusher. Overall, I'm pretty impressed with the system! I like to change my polish every other day or so, so it's not perfect for my lifestyle, but it will be great for those who want a manicure to last for a week or longer. Not just reds and pinks - we get some interesting colors, too! Only $50 for the whole system including an LED lamp!! 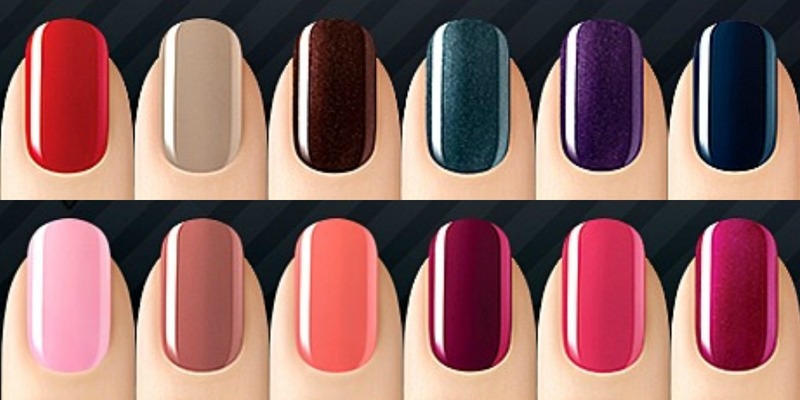 SensatioNail Starter Kit and colors are available at Wal-Mart and CVS, but their list of retailers may be expanding. 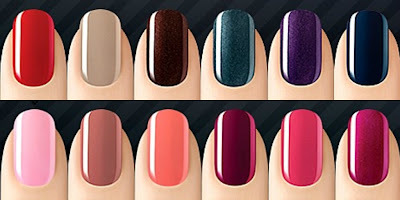 For more product info, you can visit the SensatioNail website. Stay tuned for my upcoming 500 follower giveaway! I'll be giving away a SensatioNail Starter Kit as well as an extra color of the winner's choice! As a side note: I've tested Red Carpet Manicure gel polish (from Ulta) and Harmony Gelish and both APPEAR to cure correctly in the Pro3060 lamp. I'm NOT a professional or licensed tech, so I cannot say for sure whether the systems are ACUALLY compatible or whether they can be used in conjunction with each other. This looks so great! The red is gorgeous. This looks cool! Btw, I tagged in the 11 questions! check it out! This looks so awesome and I definitely would love to try it out sometime! Love the review. I want a manicure to last 2 weeks. That would be a dream! I'm so interested but want to get a good deal on it. This week at CVS the SensatioNail gel polish starter kit is listed at $59.99 (not sure if they increased the price or not). There is a $5 coupon on their facebook page. Might be a better deal at CVS but I haven't confirmed. After spending $50 on beauty including nail products get a $5 ECB Beauty Club. This week at CVS, I just confirmed that you will get 2 - $10 gift cards or a $20 gift card for buying the SensatioNail and should get the $5 ECB after spending $50 but it will take 24 to 48 hours to process. So it is a great deal of $29.99 after coupons and savings. Ends Saturday 2/25/12. So you can use gel nailpolishes from other companies with this kit? I just bought a Red Carpet color to try with this system, hoping that it will work! Good news! Coming in late on this one, but I am 99% sure you can just do the clear coats without the color in the middle for just the strengthening benefits and still polish over the top if you use a non acetone polish remover. I've been wanting to try this just for that reason because the longest my nails ever got was with CND Shellac, but I can't go more than two days with the same polish lol. When I had the shellac, I tried taking it off with even regular acetone based polish and it wouldn't budge, so if this is anywhere near the same sort of quality, a non acetone remover should take the top coats of polish off and leave the gel intact underneath. I keep hoping to see someone having had tried it this way so I can shell out the $$ for it and know whether it will work lol! I've been holding onto a $50 gift card and the $5 coupon trying to make my mind up about it! I want this kit so bad! I didnt find a shop that would ship this to Europe (probably if i would it would cost twice as much as the actual set).. and i also checked possibility to buy it in Uk and ship form there, but hell just the starter kit costs more than twice as much as in UK.. I am thinking of giving this a go for vacation. Might as well buy the kit because ONE shellac mani near me is almost the same cost! Thanks for the review! Wanted to purchase this starter kit and now I am going to give it a try! Thanks for the tips and advice! I just bought the starter kit today. Used it for the first time and LOVED it! Easy to use and looks beautiful for the first attempt. Anxious to obtain some other colors for future use. I bought the starter kit with the pale pink color. Nice summer color. I bought the pale pink starter kit today at Walmart. I didn't know there was a coupon available so I paid the $55 full price. Still worth the money. It goes on easily and looks very professional. I can't wait to purchase some other colors. I hope the removal is just as easy as the application. LOVE this product. Do you think if you buy those glue on nails and use this kit that it would last as long as salon nails? Or if it would even work with this kit? I don't have any nails(they rip as if they were made of water) and I can't afford the upkeep of salon nails. Thanks for any info! I bought this kit at CVS and was very skeptical. I did my nails right before we left on a cruise, thinking the heat, humidity and seawater would make them lift or dull them. Boy was I wrong! They stayed perfect and shiny. And they were pretty easy to remove soaking in acetone remover. They lasted the entire 2 weeks and I only changed the color because my nails grew and there was a gap! So far, I'm loving them and the best part is not having to go to a salon, I can do my nails when I want to do them, in the privacy of my own home. Great product! I've been using at-home gel polish for almost a year now. I started with Gelish from Sally's with a small UV lamp and liked the polish very much but the lamp took a relatively long time to cure the polish. I bought the Sensationail mostly for the LED lamp and it works so much better. I love the polish as well. I've used both Gelish and the Red Carpet gel polish from Ulta with this lamp and they work great. I get a minimum of 2 weeks wear from a manicure and usually change just because it's grown out from the cuticle or I just want a different color. It does not chip - ever. Also, my nails are usually thin and split or break very easily. The gel protects them so that now I have to file them down every month or so or else they get too long. This is a great product and my only complaint is that it's hard to find all the colors. I'd recommend this to everyone. It's more than worth the price. Great review! Any idea if it is possible to use regular nail polish between the base and top coats? Does regular polish dry as fast after using the LED lamp? Is it possible to use gel polishes by other brands or just Sensational? I was able to get mine at CVS a few weeks ago for $30! Waited to purchase this until I had a 25% off coupon, $5 coupon from the Sensationail, and $12 in Extra Care bucks = 29.99. I purchase other nail colors when I have the 25% coupon and $1 coupon from the company. Wonderful product- has stayed on now for the 2 weeks. Did chip a little at the cuticle area, but that was my fault as I didn't clean the polish off my cuticles right. Will be much wiser when I do it again. I just tried Sensationail for the first time and love it! It's well worth the price and the time spent. The trickiest part is keeping it off the cuticles without smearing the application before you cure it. 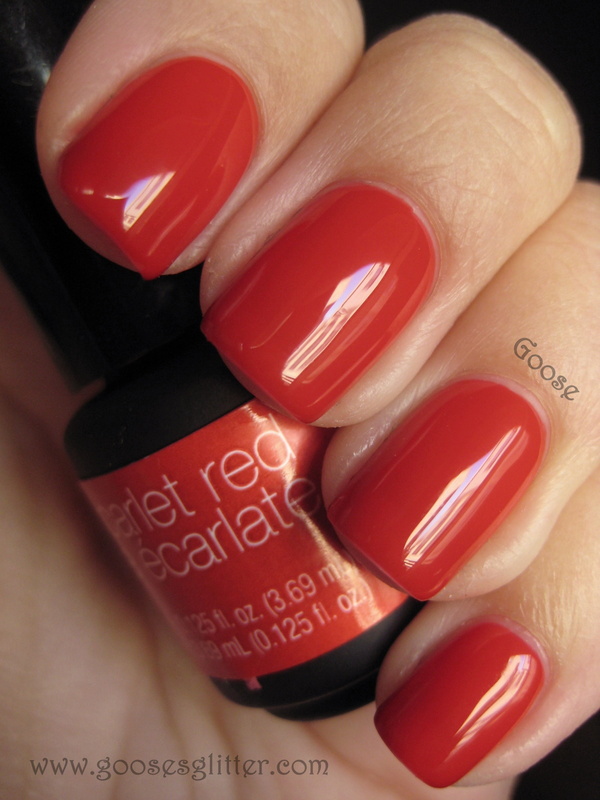 Requires at least 3 coats of color, using sparingly and very thin coats, but it's worth the effort. Other reviewers have said you can use 90%+ rubbing alcohol as the cleanser and save money. When you need more base and primer, buy an "essentials kit" which has all the product, but not the lamp -- for about $19.99. I love this product and have been using it for over 6 months now. I get about 10 days of wear because my nails grow fast and a gap starts. I also wanted some new colors and bought a gold sparkle from Sephora. It looks great but started to feel like it was burning my nails under the UV lamp. Has anyone else experienced this? Yes! I was wondering if anyone else had this problem too! I'd been wanted try at-home gel polish and bought a few really gorgeous colors (I didn't buy it as a set, so I bought the lamp separately). Anyway, I prepped the nails and painted a base coat, which went fine, but after I painted the first coat of polish and put it in the dryer, I had to pull it out within about 10 seconds. My fingernails and fingers themselves were burning like crazy! And the pain lasted for at least 5-10 minutes after I pulled them out! Sounds good. I'll give that a try. Thanks. I have to say this product is AMAZING. Waited so long to buy it as it was so expensive from the UK finally got it from Boston. Well worth the wait! people think I've had my nails done in a salon too but they look so lovely! Does the US lamp work in the UK? You can do a "gelly sandwich" and put regular polish between the clear base gel coat and a clear gel top coat. The LED lamp does not cure the regular polish so you have to wait for it to dry. It doesn't last quite as well, but still easily a week and allows more color variety. My only complaint is the removal process. It took me an entire late afternoon into late night of soakings with and without foil, filing and buffing and there were still patches of color. I think my problem was the primer;it holds on like a bulldog. The instruction in the kit says apply primer to the nail but this article says apply to edges only. I'm going to try that and if removal is easier I'll stick with the system, if not I will not. Any suggestions regarding removal other than already given. I don't know if you'll see a reply to you, but hopefully this makes it to you! The best way to remove gel nails (and solid glitter nail polish, too) is the Foil Method. Take a small cotton ball, cotton pad or small felt square and soak it in 100% acetone. Place it on your nail and then wrap a piece of tinfoil around your finger. The foil molds to your finger shape enough to hold the remover in place and it prevents the acetone from drying out. You usually need to leave it on for ~5 mins (if removal is still stubborn, just rewrap for a bit longer), and then the polish comes off easy peasy! You can do one hand at a time and generally be able to do other light stuff while you wait. Great review! My husband and I became interested in whether or not the UV light is the same as a black light, (it's not), and were doing some research about it when we found your blog. He picked up my starter kit the other day for me when he came across it on clearance. Since then we have become fairly efficient with the whole thing. You have some great tips, though. HOWEVER, I would like to let you know that Red Carpet Manicure Gel Polishes seem to go on better and last longer. They cost about the same as the Sensationail and we pick them up at Ulta, using the $3.50 coupon that comes on the back of their circulars. Anyone try to do a fill without taking it all off? If you buff the surface to break the shine and repeat the whole application process would that work if you used thin layers? I have very thin nails that dont like to grow, I have tried everything and I love this stuff. I started using it as soon as it came out. I had tried the gel polish from my local salon but it was $35 a time and it only lasted a few days, mostly because they insist on putting lotion on your hands before the polish. I also get bored with the same color so this is what I do. I only use the clear kit. l then put regular nail polish over it. As long as I only use non-acetone polish remover I can change my color as often as I want. Having the gel between my nail-bed and the polish makes the polish last much longer, like when you get acrylics. Usually nail polish comes off my nails within the same day as I put it on. Now my nails look nice and I have been able to grow them longer for a year now. Anyone know how long the lamp lasts? I am definitely interested in trying this and the Beauty consultant at Walgreens said this one is the highest rated right now. Love this product and have been using it for almost a year! If the lamp stops working anytime now I will still consider it a good buy as the money I have save on going for manicures is great! When I first bought it I started buying other colours (and some from different brands too) BUT because I wanted to change the colour more often I stopped and only do clear coats now (2 thin coats every couple weeks). Then I can add two coats of any colour of regular polish I want and change it using non-acetone remover. And I use a clear top coat of polish on top too :) I find the colour lasts longer than if it just applied to my own nails. Love it! Think I will go change my polish right now!! My husband got this kit for me for Christmas and I love it! It's been great for me because I use fake nails and I can just pop them off without having to struggling with the gel polish. Does anyone know if you can use other brands of Gel polish with this? Sensationail gel is $20 here for one and i can get other brands for like $4.50 on ebay.